Club Nouveau is an R&B-pop band that was formed by record producer/performer Jay King and Singer/songwriter/arranger, Valerie Watson , in 1986 in Sacramento, California, subsequent to the breakup of the Timex Social Club. Other members of Club Nouveau included original members Denzil Foster, Thomas McElroy, Samuelle Prater, and Valerie Watson. Additional members include James L. Richard II, Kevin Irving, David Agent, Walter Phillips, and Mario Corbino. The band’s name (French for “New Club”) was changed from its original incarnation, Jet Set, to exploit the breakup of the Timex Social Club. The group was signed by Warner Bros. Records, on which Club Nouveau released its first three albums. 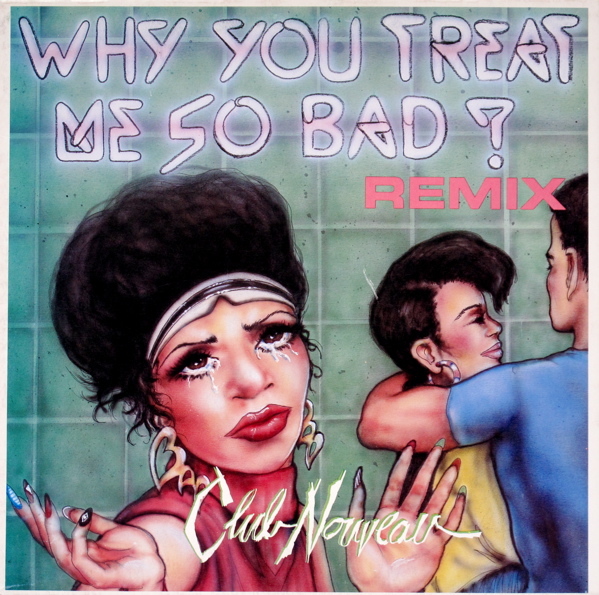 “Why You Treat Me So Bad” is a 1987 single by Club Nouveau from its 1986 album Life, Love & Pain. The basic melodic hook of the song is taken from a hit by Club Nouveau member Jay King’s previous project as producer, Timex Social Club (namely, the song “Thinkin’ About Ya”). In turn, the song has since been sampled on “I Got 5 on It” by Luniz, “Only U” by Ashanti, “Satisfy You” by Puff Daddy featuring R. Kelly, “I’m Gonna Be Alright” by Jennifer Lopez featuring Nas, and the So So Def Remix to “Irresistible” by Jessica Simpson. Gwen Stefani’s 2004 solo debut album Love. Angel. Music. Baby. was initially conceived after she listened to the song while on tour with No Doubt. The single was remixed by John Morales and Sergio Munzbai for the 12″ single. 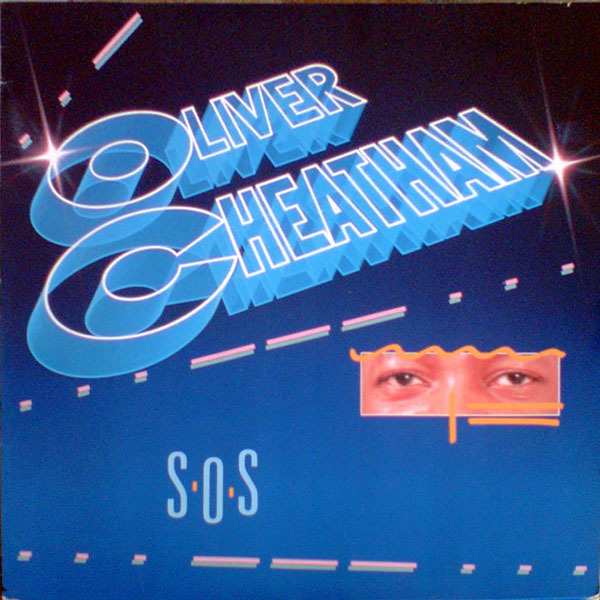 Oliver Cheatham (born 1948, Detroit, Michigan, U.S.is an American singer. He now resides in Surrey in England. Oliver worked with fellow Detroiters Al Hudson and One Way and had a Top 40 R&B hit with the dance classic “Get Down Saturday Night” on MCA Records. Written by Cheatham and One Way multi-instrumentalist Kevin McCord, the jubilant “Get Down Saturday Night” made it to number 37 on the R&B chart in spring 1983. The album spawned four singles (Celebrate, S.O.S., Wish On A Star, Go For It) with the most successful being “S.O.S.” which was a Top 40 US R&B Hit and went to #79 in the UK charts. “S.O.S.” was mixed by John Morales & Sergio Munzibai for both the album and 12″ single release. “Whatever I Do (Wherever I Go)” is a Hi-NRG song written and produced by British hitmaking team Stock Aitken & Waterman, which became a hit for singer Hazell Dean in 1984. 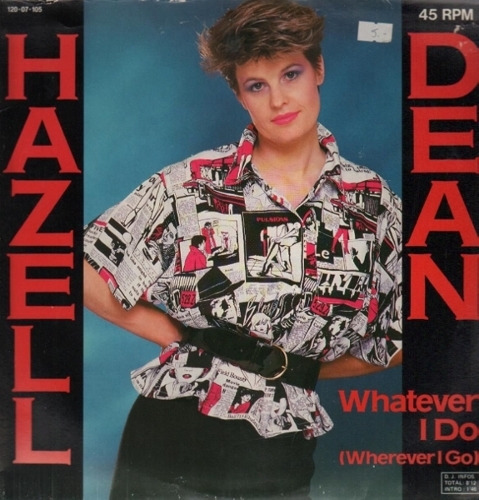 Hazell Dean, having had a top 10 hit in early 1984 with “Searchin’ (I Gotta Find a Man)”, was looking for a follow-up single. Through her label Proto Records, she contacted music producers Stock Aitken & Waterman, who had by then worked with fellow Proto records artists Divine and Agents Aren’t Aeroplanes, but were virtually unknown. The song was originally titled “Dance Your Love Away”, and was given to Dean to record. Dean, however, hated the chorus and Mike Stock and Matt Aitken rewrote it, with the song being re-titled “Whatever I Do (Wherever I Go)”. “Dance Your Love Away” was later rewritten and given to artist Michael Prince, who released it as a single in 1985, with the lyrics changed but maintaining a similar musical structure as “Whatever I Do (Wherever I Go)”. The single was released in July 1984, and it became an instant smash, peaking at #4 in the UK charts and spending 11 weeks charted.It became the singer’s highest placed single in the UK. It became Stock Aitken & Waterman’s first of many top 10 singles in the UK charts. Talking Heads were an American new wave and avant-garde band formed in 1975 in New York Cityand active until 1991. The band comprised David Byrne (lead vocals and guitar), Chris Frantz (drums and backing vocals), Tina Weymouth (bass and backing vocals) and Jerry Harrison (keyboards, guitar, and backing vocals). Auxiliary musicians also regularly made appearances in concert and on the group’s albums. The new wave style of Talking Heads combined elements of punk rock, art rock, avant-garde, pop, funk, world music, and Americana. Frontman and songwriter David Byrne contributed whimsical, esoteric lyrics to the band’s songs, and emphasized their showmanship through various multimedia projects and performances. 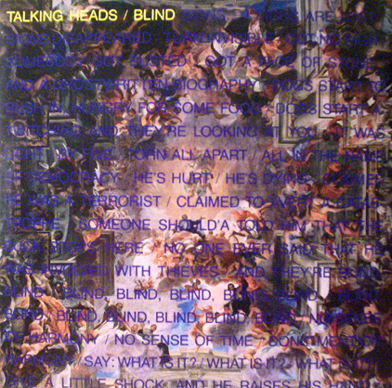 “Blind” went to #59 on the UK charts and was the only single from the album to see any chart activity, the single was produced by Steve Lillywhite and Talking Heads and remixed by Arthur Baker for the 12″ single release. “Fight Like a Brave” is the first track from American funk rock band Red Hot Chili Peppers’ album The Uplift Mofo Party Plan. It was released as the lead single for the album. Despite being a single, the song has not been performed live since 1989 though according to a magazine it was played once in 1991 though the setlist info remains missing and unconfirmed.The single also included a cover of the Jimi Hendrix classic, “Fire” as a b-side. It would later appear on The Abbey Road E.P. and Mother’s Milk as a tribute to guitarist Hillel Slovak, who died in 1988. Most of the song’s lyrics revolve around Anthony Kiedis’ addiction to heroin. At the lowest point in Kiedis’ addiction, Flea had kicked him out of the Chili Peppers with no intention of letting him back in unless he was proven sober. After getting clean through various rehab programs, he called Flea to tell him of his success, and was accepted back in the band. On the plane ride home, Kiedis wrote this song about his struggles with drugs and his overcoming them. The song is mostly an attempt to inspire other people like the rehab sessions were motivational for Kiedis to abandon the drugs. 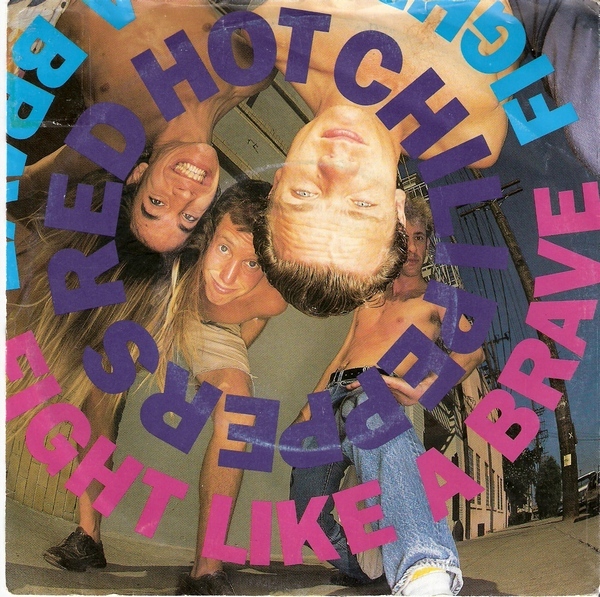 Kiedis described “Fight Like a Brave” as “a metaphor for trying to encourage someone who feels as though they don’t have a chance [as though] they’re grovelling in the gutter of life.” He also said the song expressed the band’s discontentment with EMI, their label at the time. Remixes by Justin Strauss & Murray Elias. Information Society (also known as InSoc) is an American band originally from Minneapolis, Minnesota, primarily consisting of Kurt Larson (aka Kurt Valaquen/Kurt Harland), Paul Robb, and James Cassidy; the latter two reconvened the band in 2006, initially with Christopher Anton as lead vocalist, then with Harland rejoining them as lead vocalist by 2008. 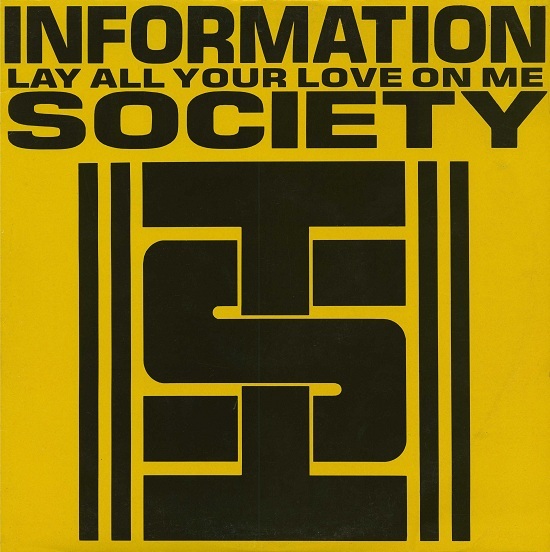 Information Society covered the Benny Andersson and Björn Ulvaeus penned ABBA hit “Lay All Your Love on Me” on their 1988 self-titled debut album; the track would peak in the summer of 1989 at No. 83 on the Billboard Hot 100 and No.23 on the Dance Chart. It was also included on the compilation ABBA: A Tribute – The 25th Anniversary Celebration. Remixes for the US 12″ single were provided by Justin Strauss but it was Phil Harding who delivered the Metal Mega Mix which tends to stand out as one of the best Harding mixes ever IMO. Mel & Kim were born to British and Jamaican parents. In 1985, Mel recorded two demos solo, under Alan Whitehead’s management. The producers loved her voice and they asked her if she would have someone to sing with. That’s how Kim got involved. The girls recorded about five demos (according to Mr. Whitehead). One of these songs – “Wild and Crazy Love”, a Mary Jane Girls cover – can be heard on the Mel and Kim documentary on YouTube. The demos got them signed with Supreme Records, and Nick East – president of Supreme – put them in touch with Stock Aitken Waterman. 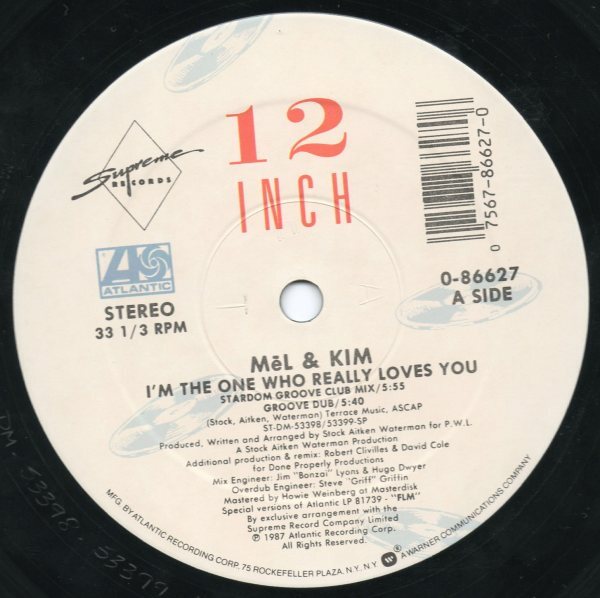 “I’m the One Who Really Loves You” was a track included on F.L.M., the first album by Mel and Kim. Although never released internationally as a single, after being subected to a handful of remixes by Clivillés & Cole and a limited North American release, it reached number eleven on the Hot Dance Club chart. It was originally recorded and released by British singer Austin Howard in 1986. Both versions were written and produced by Stock Aitken Waterman. Deutsch Amerikansiche Freundschaft (“German American Friendship”; most commonly abbreviated to D.A.F.) was founded as a five-piece industrial noise outfit in Düsseldorf in 1978, but ultimately winnowed down to a two-man group consisting of vocalist/lyricist Gabi Delgado and drummer/electronic musician Robert Görl. 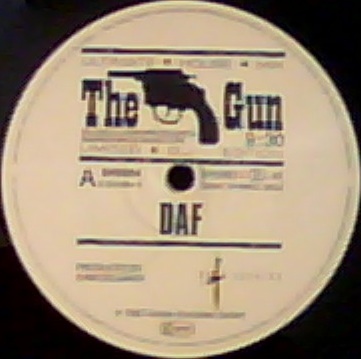 “The Gun” was a 1987 single written by Gabi Delgado and released in a range of different mixes, firstly in a standard 8:19 remix in Europe (also known as the “Bang!Bang! Club Mix” in the US , then the US released Joseph Watt 8:22 Powder-Keg remix backed with a Razormaid remix of “The First Step To Heaven”. Finally, the Limited D.J. Edition was released in Germany, containing the 9:30 Ultimate House Mix. “The Gun” would be the only D.A.F. single released in 1987 and would see CD release on the 1989 D.A.F. compilation “Hitz Blitz” which was a primarily a repackaging of the “1st Step To Heaven” LP for the US market with some remixes and altered tracklisting. The version that appeared on “Hitz Blitz” was the Joseph Watt “Powder Keg Mix”. Soul Mining is the debut album by British post-punk/synthpop band The The. The 1981 album Burning Blue Soul was originally credited to the band’s frontman Matt Johnson as a solo album, but later reissues now credit it to The The. Soul Mining was released in October 1983 and included versions of the UK singles “Uncertain Smile” which reached no. 68 in December 1982, “Perfect” which made no. 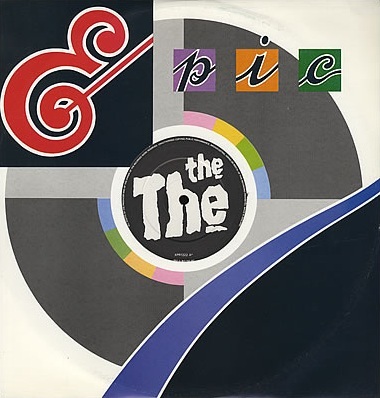 79 in February 1983, and “This Is the Day” which reached no. 71 in September 1983. The album peaked at number 27 in the UK album chart.It has appeared on several lists as one of the best albums of the 1980s. The title track of the album was released as a UK Promo 12″ in 1986 with a 12″ remix of “Soul Mining” and the original recording of “The Sinking Feeling”, also from the Soul Mining album. Matt Johnson (born 15 August 1961) is a singer/songwriter best known as the vocalist and only constant member of his band The The. 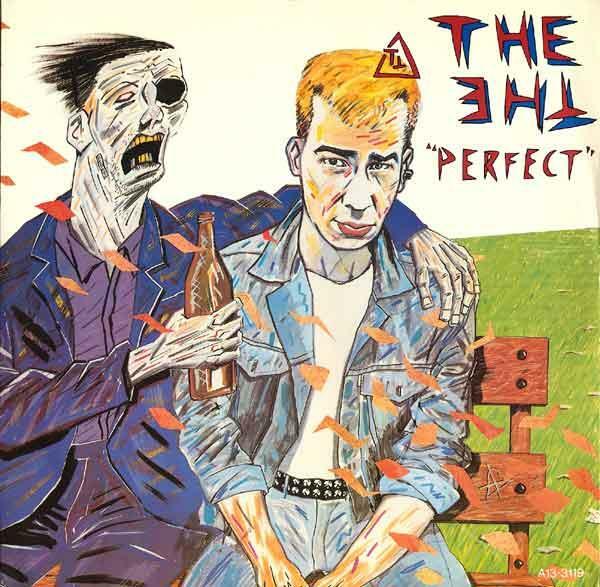 The single “Perfect” was recorded in 1982 in New York with Mike Thorne producing, after The The had been signed by Epic Records in the USA. However, the relationship between Johnson and Thorne quickly deteriorated as a result of Johnson’s heavy drinking and drug use, and disagreements between the pair over the songs’ production. The sessions were eventually abandoned and Johnson returned to London and began recording with Thorne’s former engineer Paul Hardiman, reworking the single. “Perfect” features harmonica playing by New York Dolls singer David Johansen, a friend of Thorne’s. The song was remixed by Johnson and Hardiman, only keeping Johansen’s contribution from the original single. The new version was added on to the end of the US version of Soul Mining, and later to the CD versions, a fact which irritated Johnson who felt it was an unnecessary addition to the album.